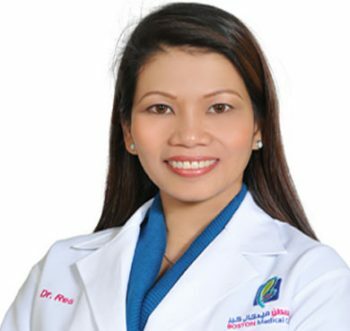 experienced Dentist from the Philippines. She also practiced Dentistry in Saudi Arabia for 8 years. Dr. Res is an expert in Lumineers (Hollywood Smile). She has an eye for a Beautiful Smile. Her passion in the practice of Dentistry assures every patient that will leave her clinic is having a dazzling smile.